The example here shows somebody that typed in ‘tickets Denver.’ Notice that Google (within seconds) came up with 158 million results! This example is the first page of those results. Notice how Ticketmaster has the first listing? They are a huge company that has excellent SEO strategies. It is also important to note that Google is showing 3 different types of ‘results’ on this first page. The only ones that are from SEO (organic results) are in black. 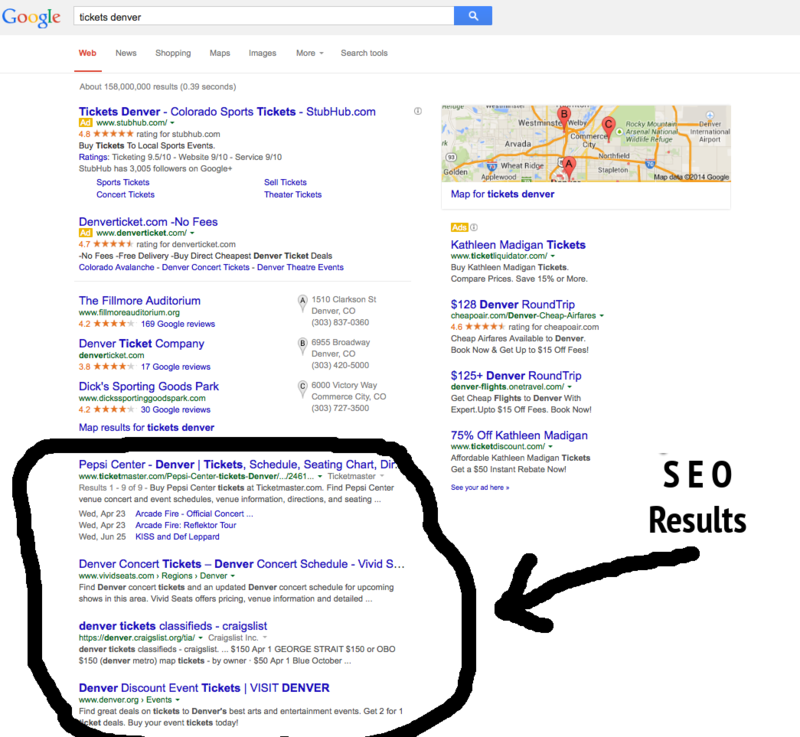 The 2 at the top (left side) and all the results on the right are paid advertising (Google Adwords). The ones in the middle (with the letters A, B and C) are map listings.